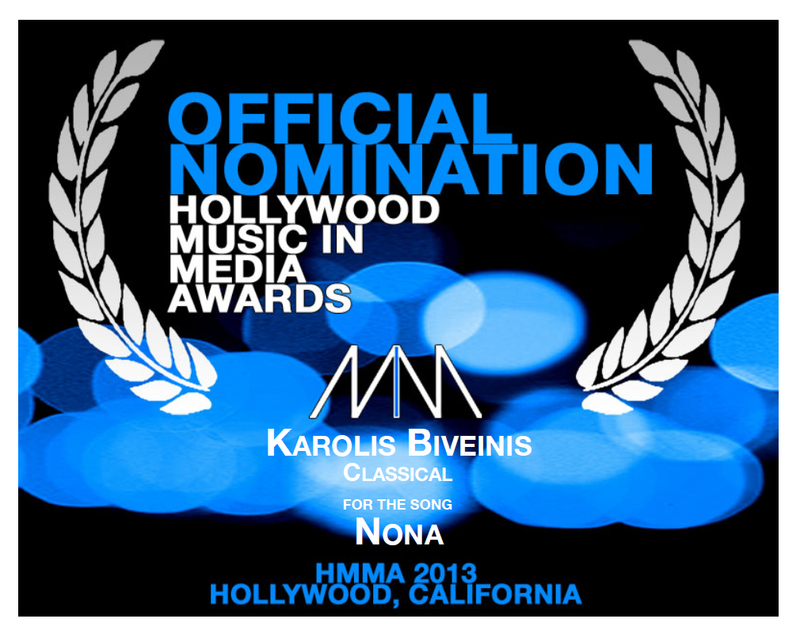 Composition “Nona” from the album “Sounding Images”, recorded with cellist Luis Caballero, was nominated in the prestigious “The 2013 Hollywood Music in Media Awards” in the category of classical music. 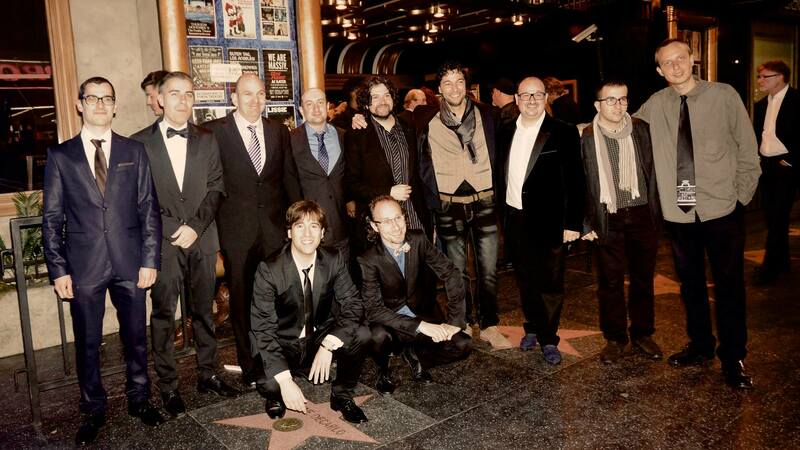 The awards ceremony took place on November 21 in the “Fonda Theatre”, located in the famous “Walk of Fame” in Hollywood (Los Angeles, California). 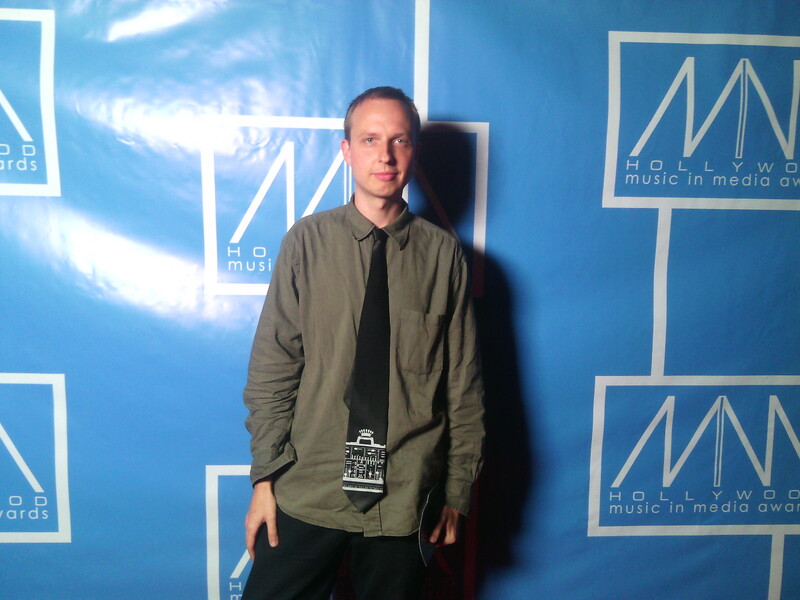 The “Hollywood Music in Media Awards” granted a prize for each of the categories that are divided from music for feature films, television series, commercials, video games, and various musical genres not related to the image. Composer shared the nomination this year with renowned musicians such as Michael Giaccino (Oscar winner for the soundtrack of “Up” and also composer of the famous series “Lost”, nominated this year for “Star Trek Into Darkness “), Bear McCreary (nominated for the music of “The Walking Dead”), Dave Porter (for his score for “Breaking Bad”), Steven Price (for the spectacular “Gravity”), among others. In previous editions of these awards have been nominated composers like John Williams (composer of legendary soundtracks for movies like “Star Wars”, “Superman”, “Indiana Jones”, “ET”), Hans Zimmer (“Gladiator”, “Pirates of the Caribbean”), Howard Shore (“The Lord of the Rings”), Alexandre Desplat, Thomas Newman, etc. Text: Press note of the composer Rubén Vizcaíno. This entry was posted in Uncategorized and tagged Awards, Composer, Hollywood, Karolis Biveinis, Media, Music, Nona, Sounding Images on April 24, 2014 by Karolis B..